We offer a broad range of Intermec smart media supplies for RFID printers and encoders for a wide variety of RFID applications and environments, including custom tag inlay placement designed for the needs of your specific RFID printing/encoding application. 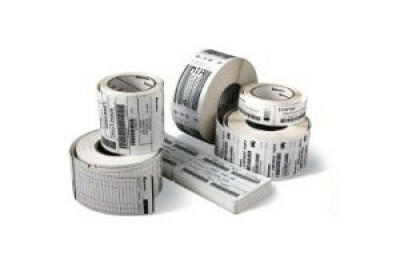 Many of the Zebra labels and ribbons used in traditional barcode printing are also available for use in RFID smart label printing applications. Call us for more information.